Cherry City Roller Derby came to us wanting to increase recruitment and ticket sales while highlighting the competition and camaraderie of their league and sport. 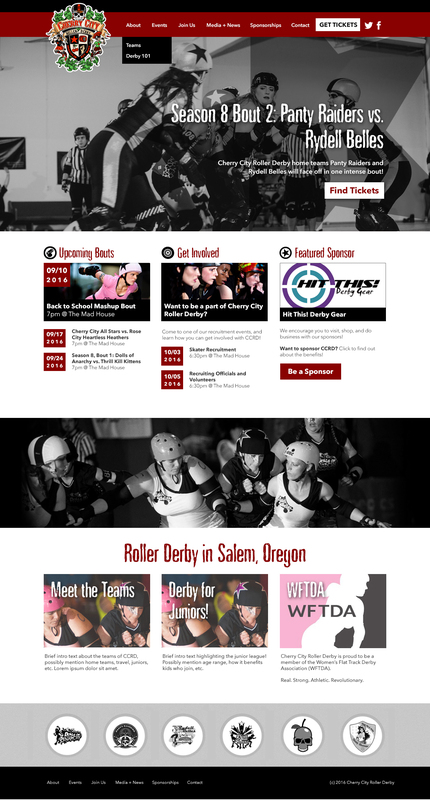 We gave their website an updated look that communicates the excitement of roller derby. 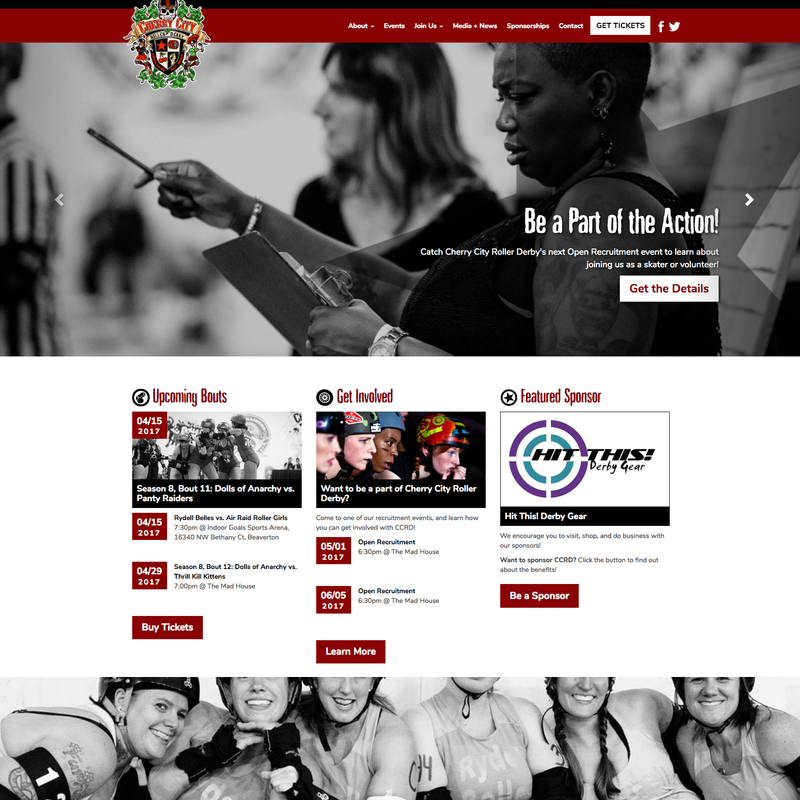 Our content strategy for Cherry City's web site draws attention to their biggest goals: promoting upcoming ticketed events, and recruiting new skaters and volunteers. Fans can easily find information about the league, no matter what they're looking for. We also developed a customized content management structure into their website, enabling their volunteers keep team rosters, event information, and sponsors up-to-date easily. We love [the website]! It has been really easy to maintain, and the graphics and colors really pop. Upswept really did a great job on the design!